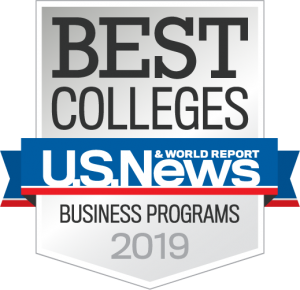 Valparaiso University is a member of the SAP University Alliances Program, an organization that connects universities with SAP, the world’s leading provider of systems, applications, and products in data processing. SAP software is used at more than 75 percent of Fortune 500 companies to manage key business functions like maintaining accounts and warehouse management. Within the job market, candidates who are skilled with SAP receive a significant competitive advantage. Our partnership with SAP ensures that Valpo graduates are equipped with the business intelligence skills that companies demand. Valpo offers two SAP training courses, including the required core course Business 115: Introduction to Enterprise Resource Planning Using SAP. Through the University Alliances Program, Valpo students are also invited to distinguish themselves at SAP contests and competitions. At the SAP National Marketing Innovators Competition, the Valpo team won in its first year as a competitor. Valpo partners with organizations such as Whirlpool Corporation to offer graduating seniors a real-world challenge. In the capstone course, Management 475: Business Policy and Strategy, students may have the opportunity to work with Whirlpool executives on a dilemma facing the company and provide data for students to analyze. Whirlpool is the world’s top global appliance brand, with appliances marketed in nearly every country around the world. Student teams with the most innovative and effective solutions travel to Whirlpool’s corporate headquarters in Benton Harbor, Mich., to present to an executive committee. The experience gives seniors a chance to demonstrate their well-honed problem-solving skills in a real corporate setting — and a chance to impress valuable new business connections.